Harvard law professor Larry Lessig, who had been running for the Democratic nomination for president, said he was ending his campaign. 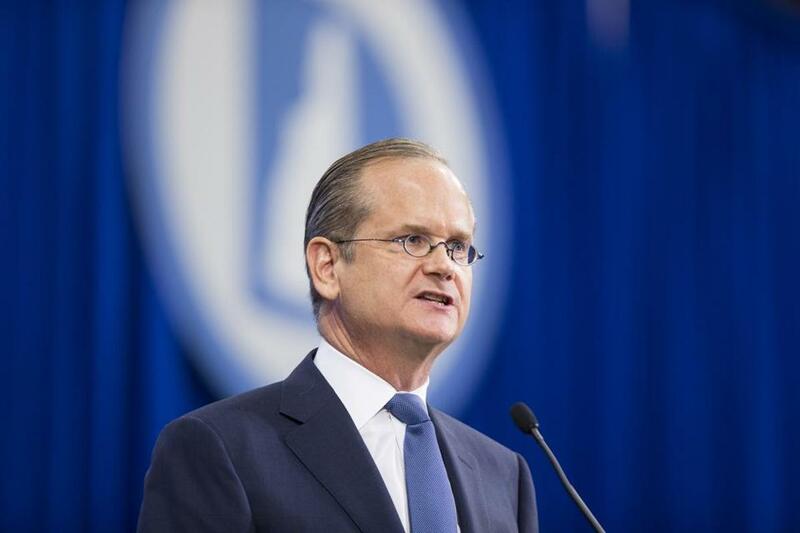 WASHINGTON — Harvard law professor Larry Lessig said Monday he is ending his bid for the Democratic presidential nomination. Lessig blamed the demise of his nearly three-month campaign on the Democratic Party, which he says leaves him ‘‘just shut out’’ of the primary debates. He struggled to hit 1 percent in national polls, the necessary marker to qualify for the primary matchups. ‘‘I may be known in tiny corners of the tubes of the Internet, but I am not well-known to the American public generally,’’ he said in an online video released Monday. Lessig focused his campaign exclusively on a single issue: curbing the influence of big money in politics. His platform centered on passing the sweeping ‘‘Citizens Equality Act,’’ a bill that would address campaign finance reform, enhance voting rights, and end gerrymandering of electoral districts. ‘‘Our only chance to make this issue central to the 2016 presidential election was to be in those debates,’’ he said. Initially, the 54-year-old South Dakota native promised to resign and let his vice president take over after he signed the legislation into law. He declined to name potential vice presidential picks when asked. Without being able to reach the millions of voters who tune into presidential debates, Lessig said, he had little chance of making a serious impact on the race. ‘‘No doubt a better candidate could have gone further, but I doubt anyone could have worked harder,’’ he said. The Democratic front runner, Hillary Clinton, has been working to consolidate her lead in the race, now that Vice President Joe Biden has bowed out.